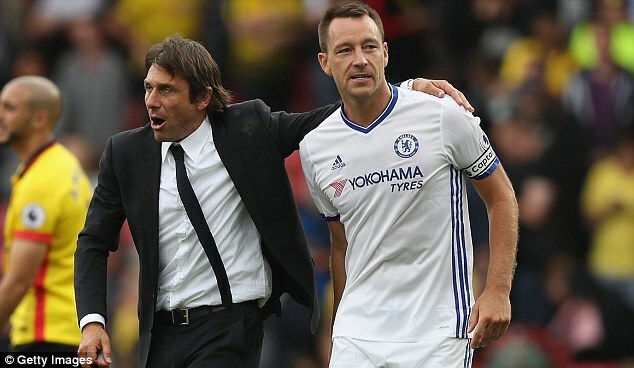 Now, however,Conte is on the verge of establishing himself as one of top managers in the Premier League, and he may just consider doing away with out Terry. At 35 years of age, the Chelsea captain no longer has the likes to compete at the top level. He also has suffered numerous injuries over the last few months. The biggest disadvantage for Terry happens to be the switch to the 3-4-3 formation, which requires the defenders to be rather quick. Since the switch to the formation in September, Terry has started just one league match. However, he played the full 90 minutes against Wolverhampton in the FA Cup. Conte says that it is his wish to see Terry lifting the FA Cup once again. “The most important thing is now, the present, to work and build a good future. Then, yes, for sure we will see the situation of every single player and we try to make the best decision for every single player.I’m pleased to give him the opportunity to play but not because there is a sentiment. I think John Terry deserved to play this game and he played very well, I’m very happy for him,” said Conte.